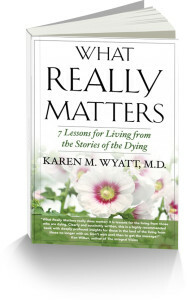 What Really Matters chronicles the life transformation experienced by Dr. Karen Wyatt as she cared for dying patients and their families in hospice. Not only is this a book of beautiful and uplifting stories, but it is also a guidebook for those who are feeling hopelessly lost and stuck In this contemporary world. 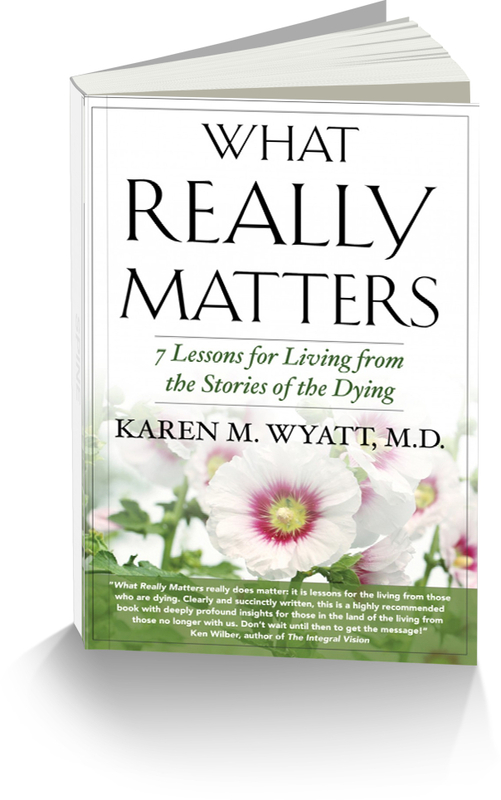 What Really Matters points the way through the confusing maze of suffering and pain to the ultimate destination of meaning, purpose, growth and healing. Read this book – it has the power to change the way you see … everything!